My Blogger Buzz: How to Install Disqus Commenting System in Blogger? How to Install Disqus Commenting System in Blogger? Disqus is one of the best commenting system to make a good discussion and also to get a lot of comments. It has many new features which others does not have. Disqus is the choice of many popular blogs like hongkiat.com, wired.com and also of the top blog of India Labnol.Org. I asked many probloggers who are using Disqus commenting system about their experience with this commenting system and all of them are happy and satisfied. So I am going to show you 4 easy steps on how you can add Disqus commenting System to your blogger blog. How to Use Blogger and Google+ Commenting System Together? Disqus is free to use plugin and supporting many major blogging platform also. Disqus is very easy to install plugin that also proved itself to be user-friendly. You just need to do is sign up with your email and Choose your Platform. Disqus allows you to comment on your favourite social media from one place. It also fetches your profile picture from your Social Profile and displays it along with your comments. Disqus Commenting System is totally free of Spam so it saves your time by checking each comment automatically. It is connected to social media so there is no risk of getting spam comments. I listed the top 4 but there are so much benefits of Disqus Commenting System. How to Install Disqus in Blogger? You need to sign-up and create a account in disqus using your e-mail id. After that you'll be landed on the page,where you need to create your site's profile, which you will be using as a disqus profile while commenting. After filing the required fields click Finish Registration. 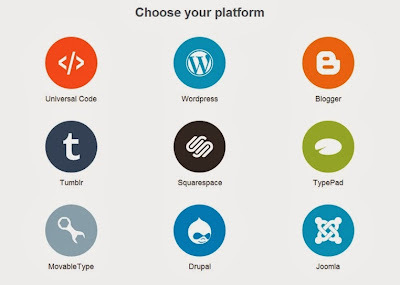 Now select the platform and add the widget code in your blogger site. After saving the widget view the pages of your site, you will find disqus loading instead of default blogger comment system. 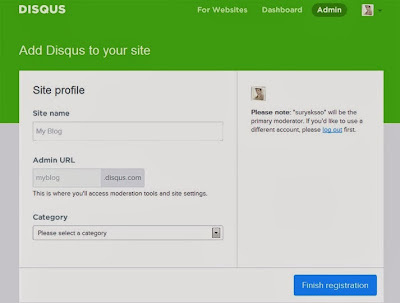 I hope you know the benefits of Disqus and install it successfully on your blog. Now It's your turn to share this post with your friends and share your views with us through comments till then Peace, Blessings and Happy Commenting.